I DO BELIEVE IN FAIRY GODMOTHERS…I DO BELIEVE IN FAIRY GODMOTHERS…I DO BELIEVE IN FAIRY GODMOTHERS. There may have been a slight chance you heard me screaming as I sat in front of my laptop reading my emails last Friday. I received an invitation to one of the premier conferences for social media influencers and opinion leaders – the Disney Social Media Moms Celebration. Say what!!?? Yes, that wonderful Disney pixie dust worked it magic again and choose me as one of the conference attendees. My Pixie Dusted Invitation to the #DisneySMMC was something I never expected. The magic of Disney never ceases to amaze me. My coveted invitation arrived in my inbox last Friday evening. 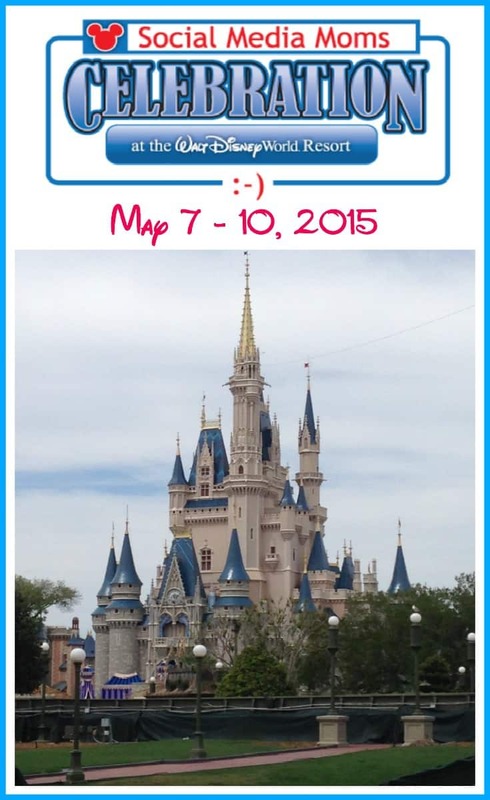 The Disney Social Media Moms Celebration 2015 is a professional development conference that will take place May 7 – 10 in Walt Disney World, also known as my happy place! Squee! I am so excited an honored to be chosen for such a prestigious event. Me, yes, little old me, has been selected by Disney to attend and I am GOING TO DISNEY WORLD! I also had the opportunity to attend the Disney Social Media Moms Celebration On The Road event in Philly back in June. To say the On-The-Road was a magical experience is an understatement. That in itself was an honor to be selected and a wonderful learning experience. I can only imagine what this upcoming event will be like. You will be hearing a lot about the conference from me in the weeks to come. Be sure to follow all of the magic along with me on my Twitter, Facebook and Instagram accounts by using the hashtag #DisneySMMC. You can also visit the Disney Social Media Moms website by clicking here. Interested in attending the Disney Social Media Moms Celebration On The Road conferences? Disney will be hitting the road and visiting New York City, Portland, Oregon and Austin, Texas this year. If you are a blogger or social media influencer, I encourage you to apply to attend one of these conferences by clicking here. Now, this is just to apply and not a guarantee you will be chosen. Who knows, maybe some pixie dust will land in your mailbox in the form of an invitation to one of the On The Road events. It did for me last year. So miracles do happen. Disclosure: I was invited by Disney to attend the Disney Social Media Moms Celebration at the Walt Disney World Resort in Florida. I did pay a modest conference free to attend . I was not asked to write this post by Disney. As always, opinions are my own. Hey Melissa, I just want to say CONGRATULATIONS to you!!! This is all awesome. You deserve to be selected! You’re doing a fabulous job with your blogging and all your social media stuff. You’re making the most of the computer and your time on it!!! Jimmy tells me to do something that will make me money or get me recognized. I’m just not as creative as you! I’m proud to call you friend! Good things come to good people! Keep up the good work and keep us all posted. Thank you Angel. That is so sweet of you. I appreciate all your support!